Appointed by Governor Mills E. Godwin, Jr., on September 4, 1974, to fill the vacancy created by the retirement of Harold Fleming Snead and began his service on October 1, 1974. First elected, on January 29, 1975, to a 12-year term (beginning February 1, 1975.) Service terminated by retirement. 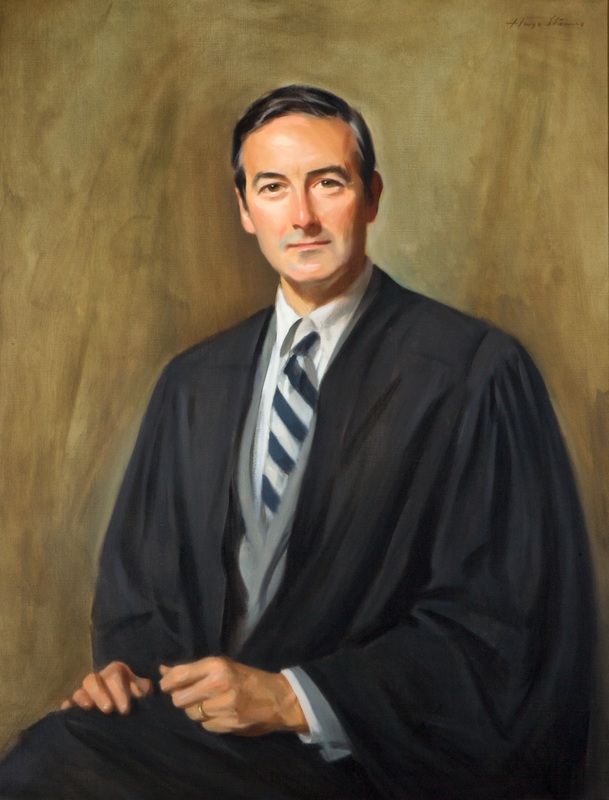 Appointed, “Richmond Judge Gets Va. Court Post,” by Helen Dewar, Washington Post Staff Writer, The Washington Post (1974-Current file) [Washington, D.C.], September 5, 1974: D2; qualified, 215 Va., iii; elected, Journal of the Senate of Virginia, 1975 Session, 271; retired, 259 Va., v; birth, death, and career, memorial statement, April 17, 2006, published in 271 Va., xiii, and transcript of portrait presentation on February 28, 2006, published in 272 Va., x-xi; education, House Joint Resolution No. 5056, offered May 10, 2006, retrieved on March 18, 2014; portrait, Library of Virginia catalog. Justice Compton continued to serve the court as a retired (senior) justice from his retirement in 2000 until his death in 2006.